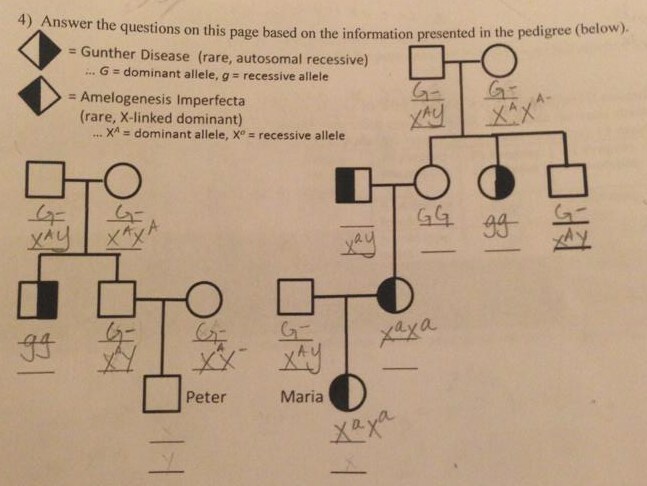 As for Gunther disease, both the parent in the first generation should have a heterozygous dominant expression and the offspring suffering must have a homozygous recessive expression. And you can apply the same basics in Peter's pedigree. I think this much should be enough to complete the task, but if you still have some doubt you can put it forward in the comments. Not the answer you're looking for? Browse other questions tagged homework molecular-genetics genetics or ask your own question.